Killer Characters: More Killer Games...and a GIVEAWAY! More Killer Games...and a GIVEAWAY! One of my jobs as manager of Well Played, our vintage toyshop, is curating our vintage game collection. Since I'm a self-proclaimed board game junkie, this might be my favorite part of the job! Or course, whether you think it's is a fun way to spend an evening, or an epic battle waiting to happen, Monopoly features heavily. I try to keep a selection, ranging from those earlier versions, where the game pieces were in a small box and the board was separate, to some of the newer, maybe campier, special editions. Several Monopoly collectors frequent our shop, looking to round out their collection. And there are plenty to choose from. Cities, sports teams, television shows, movie franchises, toy lines, corporations, and even charities and celebrities often have special Monopoly editions. We've even come across some made for family reunions! How about a game? 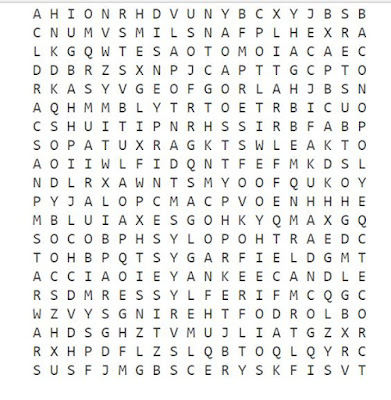 Maybe not Monopoly, but a word search which includes the names of twenty-one different versions of Monopoly. 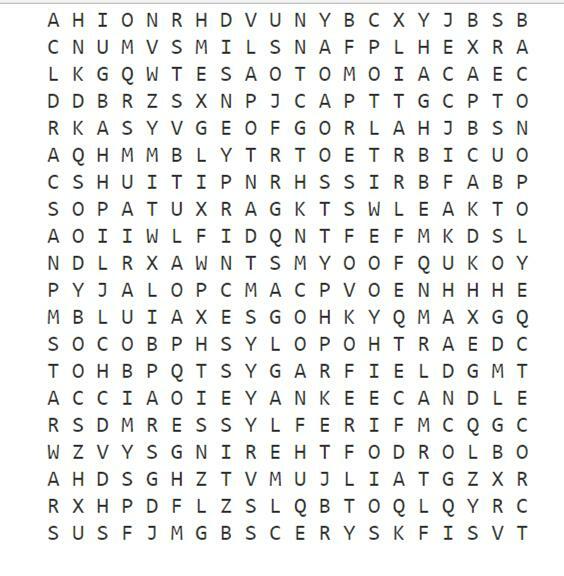 Find just three and you could win! Only, to make it a little more challenging, I'm not giving you the word list! 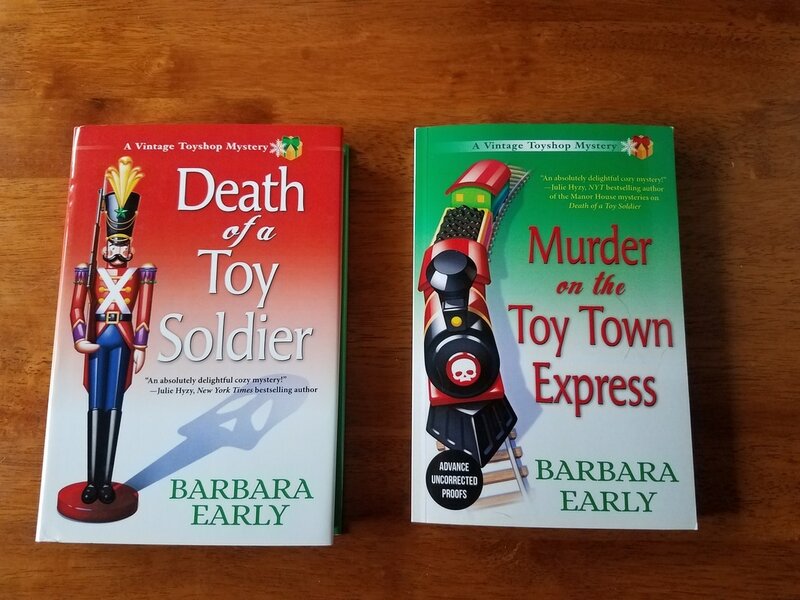 I'll pick one winner at random from the correct answers, and the winner receives their choice of either: a hardcover copy of DEATH OF A TOY SOLDIER or a paperback advance copy of MURDER ON THE TOY TOWN EXPRESS, releasing October 10th, from Crooked Lane. The contest runs until August 3rd. May the words be always in your favor! Thank you for this fun chance to win! Thanks for the chance! That was fun! What fun- I've found 6 and still looking. I LOVE puzzles, thank you! Didn't know there were so many versions of Monopoly. This was a lot of fun! Thank you for doing this!